Do parrots eat red palm oil? You want to buy red palm oil in Canada? – Juka's Organic Co.
Word is, parrots 🦜 love red palm oil too! So Juka’s Organic is proud to partner with the Parrot Hotel In CANADA 🇨🇦 . You can now order the best red palm oil,Juka’s Organic red palm oil in Canada. You can buy our red palm and coconut oil from the parrot hotel shop and pay less money on shipping. 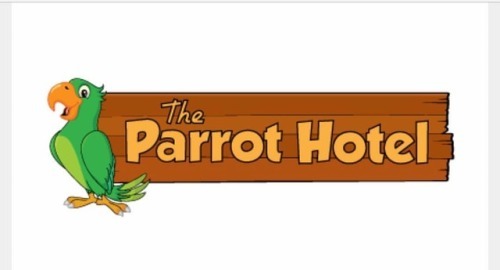 The Parrot Hotel is a home based professional parrot sitting business that provides in-home bird boarding and mobile bird sitting within the GTA and surrounding areas. They dedicate & specialized in servicing parrots for over 10 years. They sell all kinds of goodies for parrots. For more on where to buy red palm oil or red more on the health benefits, visit www.jukasorganic.com if you need to buy our red palm oil in CANADA 🇨🇦 go to the @parrot_hotel Today to place your orders.